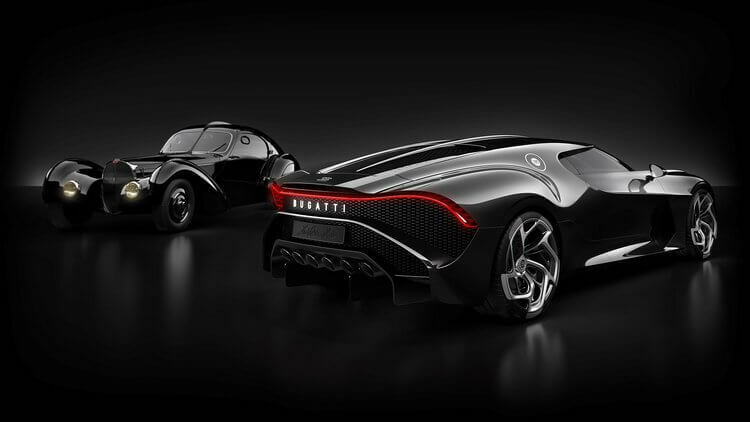 Home » Automobiles-Cars » The Classic Reborn: The 18.9$-million Bugatti La Voiture Noire First Look! To celebrate the 110th anniversary of the renowned automobile company, Bugatti have revealed their exclusive creation: Bugatti La Voiture Noire – homage to the classic Type 57 SC Atlantic. This car represents the inheritance of Bugatti’s aesthetic, as well as their development progress throughout the history. 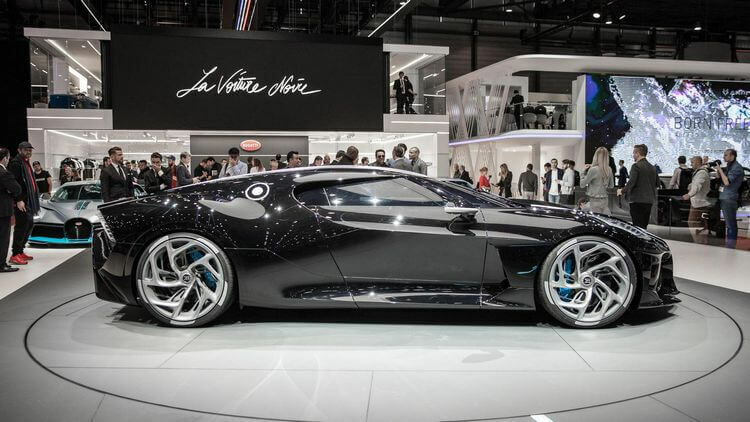 And so with no further ado, let’s have a Bugatti La Voiture Noire first look and enjoy this masterpiece! As mentioned, Bugatti La Voiture Noire is the homage to the classic Type 57 SC Atlantic created by none other than Ettore Bugatti’s eldest son himself – Jean Bugatti. What made the Type 57 SC Atlantic so special was that there were only four of them built, and each of them can be considered as masterpiece at their time, representing their unique elegance and sophistication. The fourth Atlantic in particular is a pure black Bugatti, yet unfortunately, the car went missing during the World War II. Luckily, its aesthetic has been passed on, and so, which can be a better car to celebrate Bugatti’s 110th anniversary than its recreation for the 21st century: Bugatti La Voiture Noire. 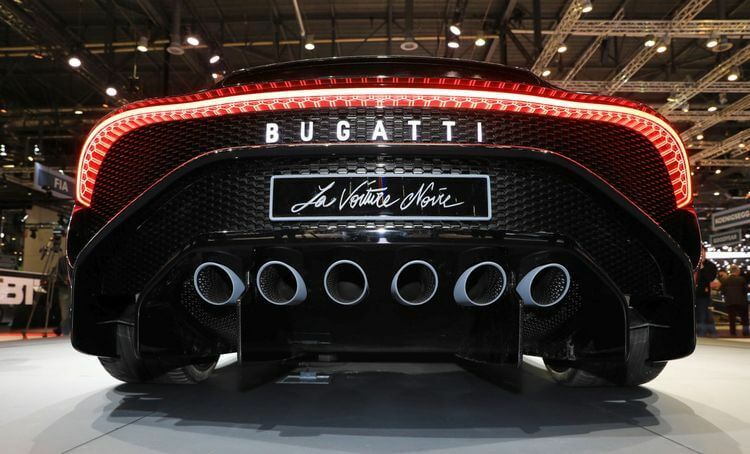 As Bugatti shared, the La Voiture Noire represents the aesthetic and progression of the company throughout the history, and that means: the sensation, the look, the speed, the technology, and the luxury. 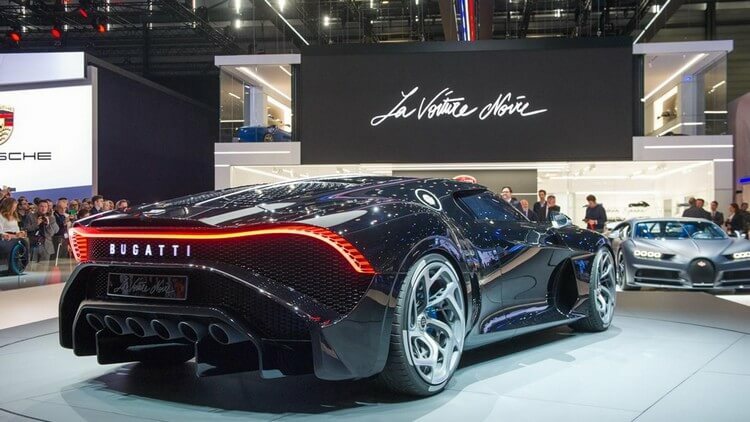 Based on its visual design, it seems the La Voiture Noire used the iconic Bugatti Chiron’s styling as the base. However, there is variety of changes including those inspired by the classic Atlantic. For example, we can no longer see the C-shape on the two sides; also, the nose also seems to remind us a lot of the Bugatti Divo. Interesting enough, the hood and the trunk lid feature a lot of small vents on top. Then if we take a look on top of the car, there is a white central spine which runs nearly all the length of the car which clearly inspired by the Type 57 SC Atlantic. In addition, there are two more things we have to talk about: first, take a look at the rear and we can see the awesome red tail-light stretching throughout the entire width. And second, it has not just 2, not 4, but 6 exhaust pipes! Why? Because again, it is inspired by the Atlantic, which also features the same amount of exhaust pipes. So what about its power then? 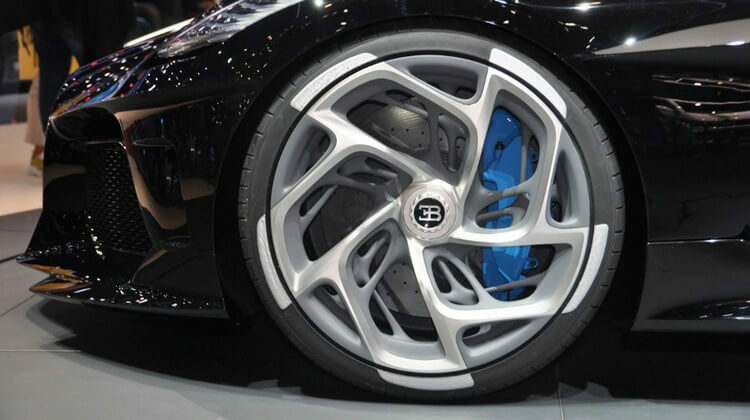 Unfortunately, Bugatti has not revealed much about it yet, not to mention that the model we’ve seen in Geneva Motor Show 2019 was kind of a prototype. However, what we do know is that Bugatti La Voiture Noire will feature a 16-cylinder, 4-turbocharger along with a massive 1,500 horsepower, 1,180 lb-ft of torque. Those are delightful figures, yet intriguing enough; the La Voiture Noire is not a hyper sports car like the Chiron or Veyron. Instead, it is a grand tourer. 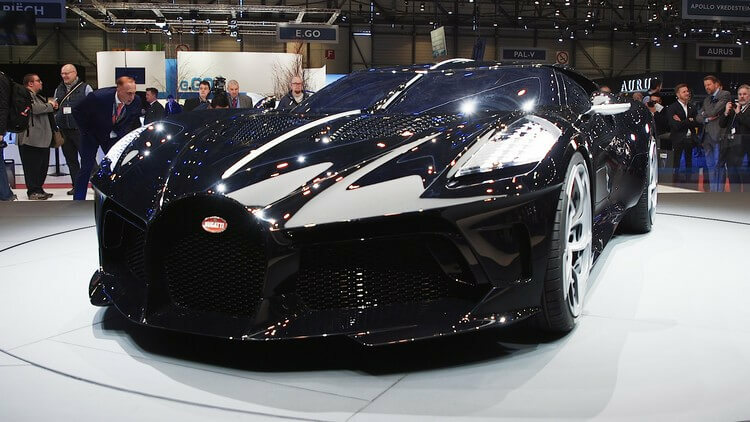 Price-wise, the Bugatti La Voiture Noire costs a hefty amount of $12.5 million. In fact, this exclusive “one-off” Bugatti already had an owner and it was sold at the final price of $18,905,235 (including tax). 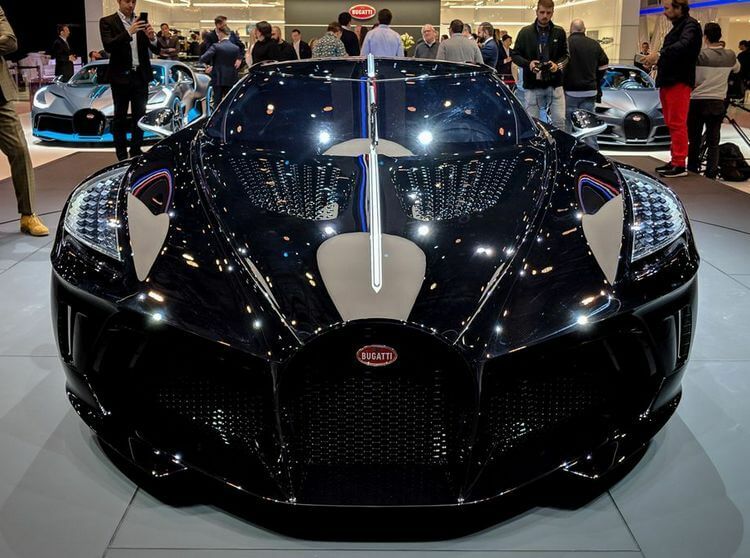 This means (as Bugatti claimed), the La Voiture Noire is now the most expensive car in the world, surpassing the Rolls-Royce Sweptail at the price-tag of $13 million and Bugatti Zonda Barchetta at the price of $17 million. And that’s it folks! 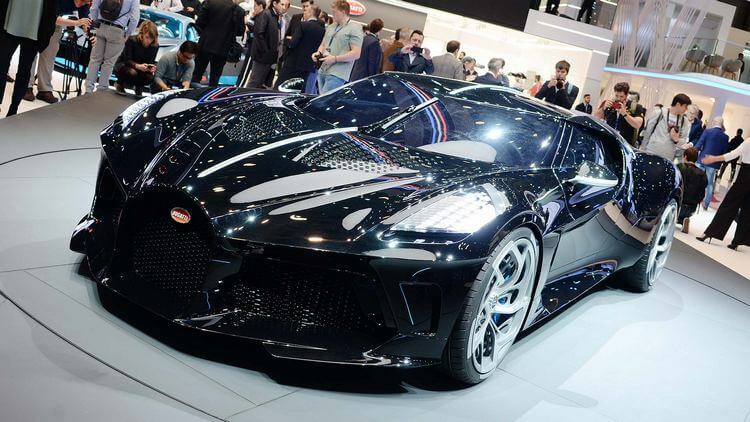 What do you think of Bugatti La Voiture Noire? Feel free to share with us and for now, thank you and stay tune for more news in the future!